Alright guys, we all know that we usually lack players on the server, and we barely reach 10/21 of the capacity daily. Today, I've boosted the server, which I didn't do it usually earlier with other servers I've been because it doesn't really help you that much and it also costs money, but it really did a job for a day. We had a full server. So, I would like to use this topic to ask all of the present admins, VIPs and our dear players: would you like to participate with Maverick and me in boosting? We may reward you for it, while we'll have a server full of players, which would boost our rank and give us a reputation. *By boosting your server, you are distinguishing it from the crowd and showing it to our visitors on home page. *When you boost server, its pushed to the top of the boost list, and its there until other boosted servers "push it" out. *Your server gets added to KGB Master server, and gets massive amount of players, something like very strong redirect. Please, be careful when you type the informations, specially IP Address. It costs money and if you make mistake with it, the money may be spent on another server. I was careful with typing the informations too, so don't worry. 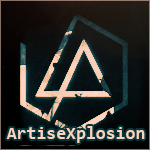 Last edited by ArtiseXplosion on Wed Nov 15, 2017 5:30 pm, edited 10 times in total. Yea thank you for that, I think it got full cause the people who came continued to play for 2 hours straight, at least some of them. Which comes to show what potential is hiding there. I am wondering which is the best time of the day do so and also which is the most appropriate day of the week? Fridays and weekends for sure, almost any part of the day. On workdays - around the 6 PM - 9 PM are also comfortable for boost. I also wanna boost the server but i don't have paypal. Can anybody tell me how to boost from sms ? I've updated SMS formats for some countries at the main post, so you can check it out how to boost. I'll add more if needed. After the boost, please report it here or on the new topic. The goal is to have the server boosted for the weekend days, every week. So from my end, you can expect to boost every Sunday from now!